Tree of Life has plans for a lending library. 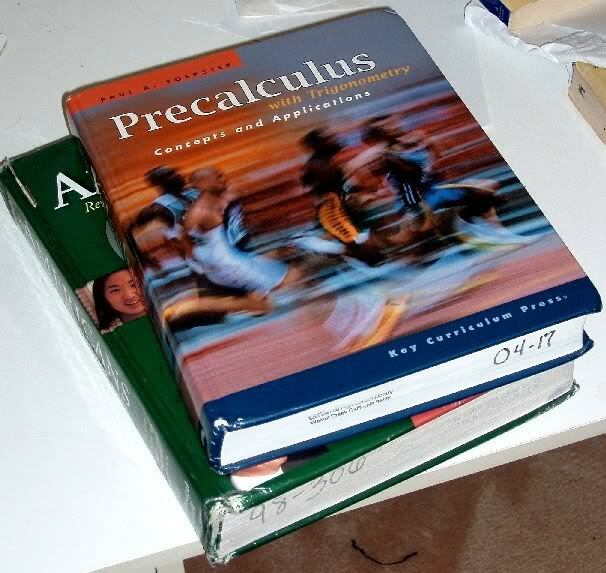 Beginning in the Fall of 2012, a limited number of high school Math and Science textbooks and teacher’s manuals will be available for loan.Membership will be required to borrow materials. Items may be borrowed for a period of 9 weeks to 1 academic academic year (usually 36 weeks) depending on title availabilty and member needs. Enrollment begins Monday 6/18/12 and continues through 7/31/12. 1st shipment of textbbooks will take place on 8/15/12, Lord willing. Membership is open to families worldwide. Categories: Homeschooling, | Tags: homeschooling, how to homeschool, learning, lending library at Tree of Life, math, Science, teaching, textbook rental | Permalink.